OVERSIZE HEAD TUBE : Oversized 44mm headtube to join the 1.5” Columbus Futura Caliper monocoque fork. The new design of the rear dropouts improves the connection with the rear stays and reduces stress concentration. Completely hand built, in Italy. 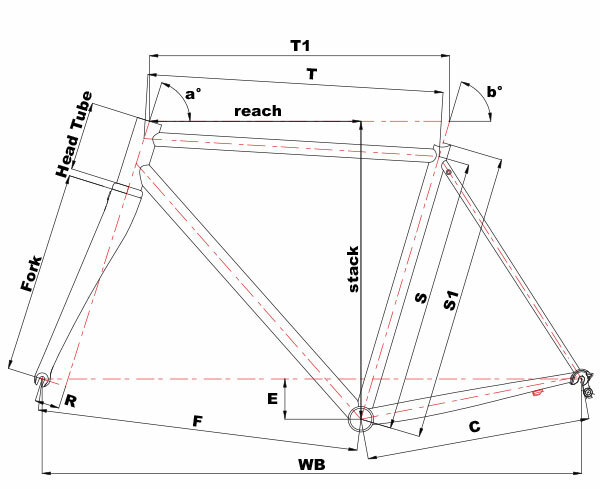 XCR FEATURES: The austenite parts in the martensite structure generate a particular elastic response of the tubes of the frame, for unique handling that creates a more direct, spontaneous bond with the road, especially in downhill stretches and at high speeds. The XCR steel has better weight/stiffness ratio compared to aluminum and titanium alloys. COLUMBUS FEL 1,5”: Oversize head tube with the 1,5” Columbus Fel monocoque fork increase the front stiffness and the control of the bike. The Cinelli XCR frame – welded from a custom drawn Columbus XCR tubeset – has been designed very simply to offer riders the purest and most direct experience of the cutting edge of steel cycling technology. Released by Columbus in 2007, the XCR stainless steel tubeset represents the most important step forward in performance steel bicycle technology of the last 25 years. XCR was the world’s first – and still today is the world’s only – cold drawn seamless stainless steel tubeset. It is made from a martensitic stainless alloy whose superior mechanical characteristics (in particular its Ultimate Tensile Strength and End Strength) allow for sub 1,5 kg frame weights and superior weight/stiffness ratios than either aluminum or titanium. Additionally the structure of the XCR’s martensitic steel is able to absorb vibrations noticeably more rapidly and uniformly than any austenitic steel, resulting in subtle but uniquely “zingy” ride quality. In order to exalt this technology, Cinelli’s XCR frame features the classic Cinelli Italian stage racing geometry, an oversized 44mm headtube, proprietary winged-C dropouts, a CNC’d Titanium headbadge featuring the original Cinelli heraldic logo, and all its tubes are hand-polished to a mirror finish, emphasizing the stainless steel construction. A Magic Mirror XCR photographed on the factory floor that Columbus shares with Cinelli. Emilvano Montorio, Columbus head of production, explains what it takes to draw a set of XCR tubes.